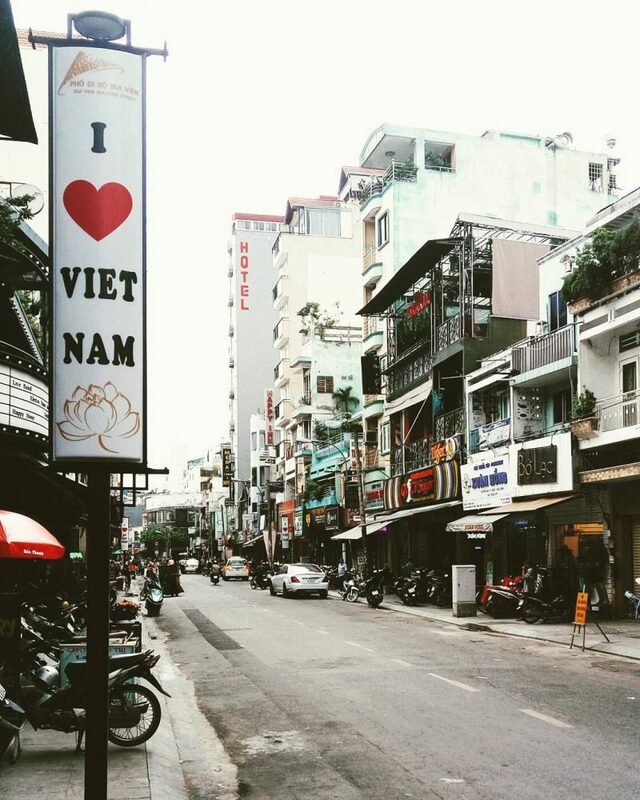 Comprised of 3 main streets: Bui Vien, De Tham and Pham Ngu Lao, this area is called by locals as “Backpacker district,” which refers to plenty of backpackers who frequent this area of Ho Chi Minh City. Backpackers, usually compare Bui Vien street to Khao San (the tourist street of Bangkok) and called it Khao San Saigon sometimes. Though tourists are trolling around the area day and night, doesn’t mean you can’t go off-the-beaten-path and have some authentic local experiences. Read our article to find out tips to stay away from the tourist traps and explore the place like a true local. What is the history of Bui Vien? It’s hard to remember before Bui Vien street was the busy, bustling area as we see today, even for residents. Before the 1990s, there was nothing special about these streets, they were common roads where people lived. Since the ‘Renovation’ in 1986 when the government allowed international commercial trade, thus opening Vietnam more towards foreign investment and tourism – this is when the first tourists started visiting the street. To serve their demands, hotels and restaurants began to establish themselves more and more. 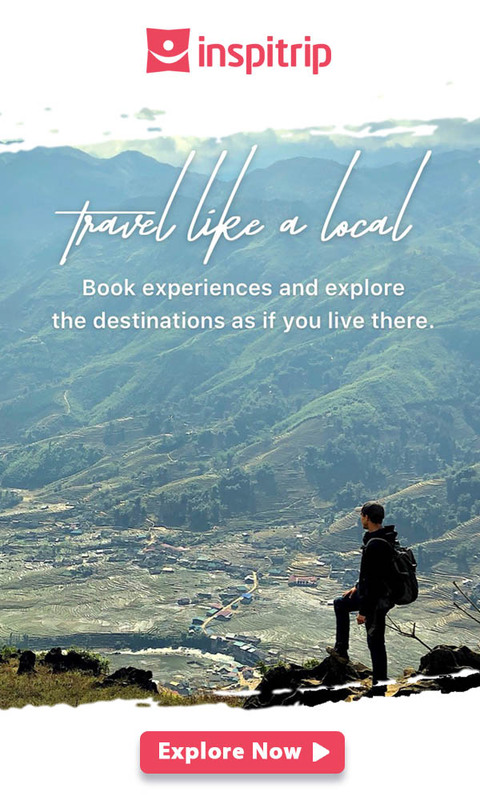 In 1993, the famous travel guide book “Lonely Planet” introduced Bui Vien and brought it to global travelers, they came here as the first place of their trip in Vietnam before moving to other places. It was a life-changing milestone brought everything here to a whole new level within 20 years and turned the street into a multicultural area filled with noise and endless parties. Early morning in Bui Vien street. In the past, Pham Ngu Lao and De Tham street were owned by travel and bus companies like The Sinh, Phuong Trang, Hanh tourist, etc. This backpacker district was filled with restaurants, cafe, hotels, bars and pubs. All these businesses have filled all the roads and even taken over the alleyways and apartment buildings. Today, Pham Ngu Lao has become a nice street with plenty of travel agencies, restaurants and coffee shops located on one side of the road. The other side is a large public park with a newly built complex of shopping mall, food court and outdoor stage for live performances. 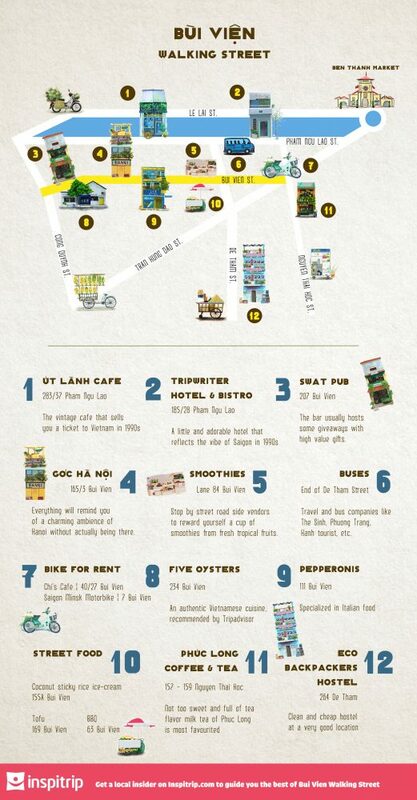 De Tham offers plenty choices of bus companies and bars, pubs opened by both locals and Westerners. And lastly is Bui Vien, the busiest, most bustling and dynamic with tons of bars and boozing street vendors dotted along the road. So what’s fun there, isn’t it a street for boozing? Bui Vien street is most famous for its road side boozing vendors. At the first sight, you will see a mix of both locals and tourists grabbing a drink on the side of the street, yet the street seems to never sleep and stores never close. Travelers can take advantage of many services from hotel, from transportation to massage, tattoo, cafe, dining and street food. ‘The Domain’ is fun but also you will need to keep your wits about you as to not fall into the tourist traps. 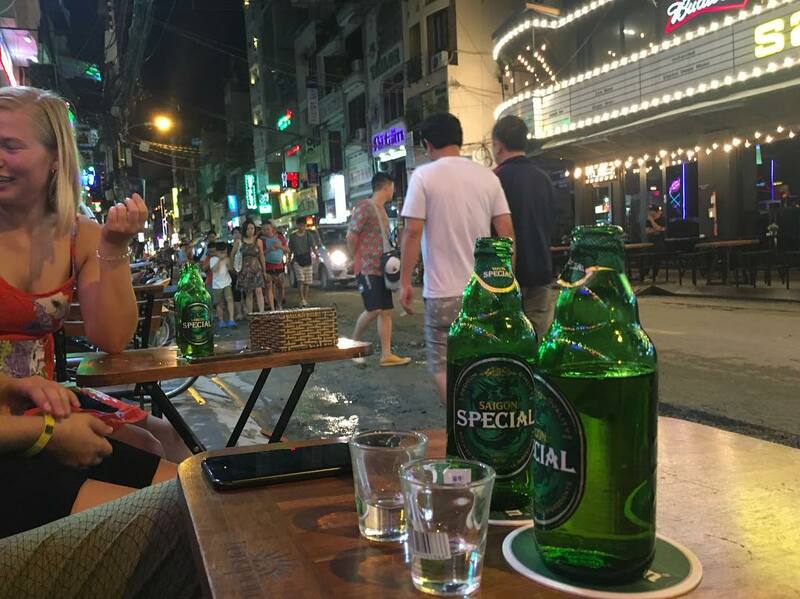 Fear not, it’s a good place to catch up and learn about the local life, especially to find young, friendly and open minded citizens of Saigon. 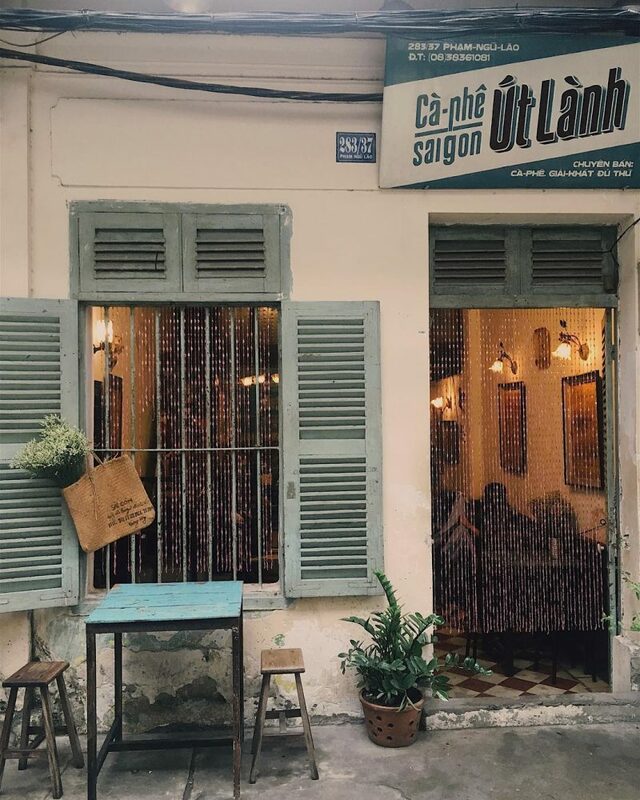 Goc Ha Noi (Hanoi corner): located in a narrow alleyway so it’s a bit hard to get there but it’s such a nice place to spend your afternoon here to enjoy a very Hanoi vibe that the coffee shop has to offer. 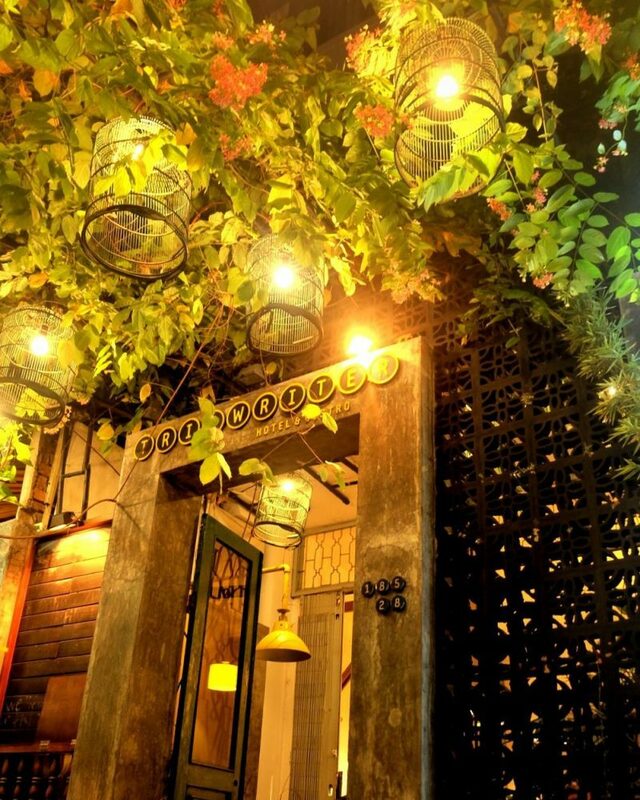 From the owner who is a true Hanoi lady, the famous coffee egg to yellow calendula vases hang on the window, everything will remind you to a charming ambience of Hanoi without actually being there. Nha co 3 lau (the house has 3 floors): hidden inside an old apartment building on Bui Vien street, the coffee is literally a house as you can sleep, lounge, read your book, play guitar or do whatever you want at your home. And of course, stay as long as you want. I can guarantee it’s one of the most chill and peaceful corner you can ever find in this vibrant and bustling backpacker area. Address: Level 3, apartment building 155 Bui Vien. Ut Lanh cafe: The vintage cafe that sells you a ticket to Vietnam in 1990s, when most of Vietnamese millennials were born and grown up. Walking inside the cafe, people feel like they are brought back to their childhood, a strongly nostalgic feeling when you see food and stuff that were rooted your younger years. Get a ticket to 1990s in Vietnam. 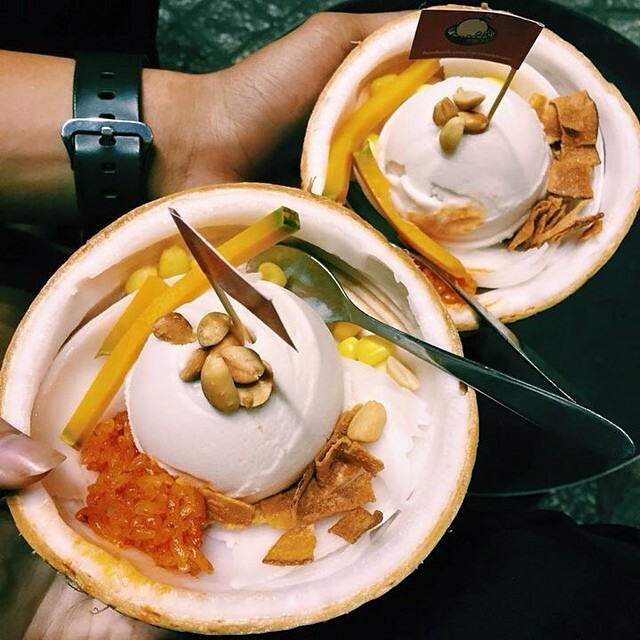 Coconut sticky rice ice-cream: a snack from its neighbor country Thailand which is creating giant hype amongst the young locals as it makes a perfect treat for the hot weather of Saigon. You’d never get bored of the perfect blend between the freshness of ice cream and the elasticity of sticky rice. Smoothies: if you’re fruit lover and huge fan of all kind smoothies then stop by street road side vendors on Bui Vien street to reward yourself a cup of smoothies from fresh tropical fruits. Even more lovely when you can choose fruits to mix up your smoothies which ever you like. The sellers also leave a few pieces of fruits as topping. Coconut sticky rice ice-cream: perfect blend for hot days in Saigon. Tofu: Sweet and fresh, tofu is an affordable eat and loved by locals. A bowl of tofu will have tofu at jelly-like texture (of course), sugar juice, jelly balls, coconut milk and a few slices of ginger. And it only costs 6,000vnd for a bowl. Address: the street vendor next to 169 Bui Vien. BBQ: Grilled and BBQ vendors on Bui Vien street is a heaven if you’re looking for some BBQ, they have it all from chicken or seafood to goat and pork at a low price. The cuisine in backpacker districts comes from all over the world. Some people think restaurants here charge a more hefty tourist price but actually they don’t. You can find authentic Vietnamese food, Western fine dining to Indian, Korean or Japanese when in Bui Vien. Here are some suggestions of restaurants that sell food at reasonable price and great quality! Boheme Pub: Inside a small lane yet the pub is always overloaded every night, and you have to reserve your seats on weekend. Though the pub isn’t large yet the music is excellent, that’s why people enjoy the vibe here so much. The young Vietnamese love to hangout at bars in Bui Vien street. Sahara Beer Club: Impressive to visitors due to its large space and green themed design, Sahara Beer club and even more so thanks to its professional bartender lineup and diversity of sold liquors. 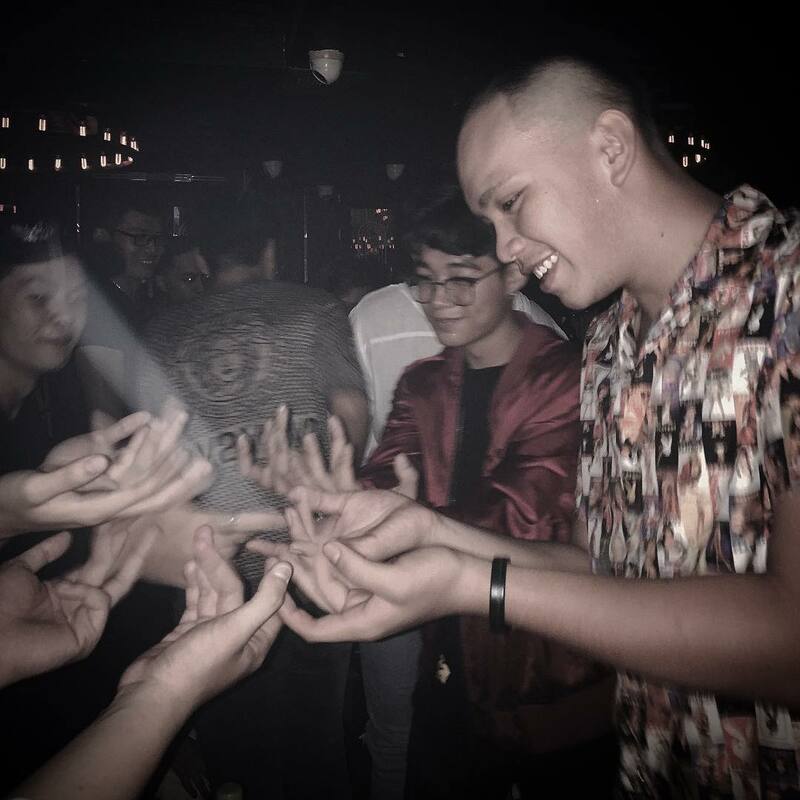 With DJ performance every night, you surely will get a wild night. The Hideaway Bar: a bar and restaurant with East meets Wests design, an ideal place if you love rock and ballad performance. SWAT Pub: The bar is not so large but have a simple and comfortable design with two main colors are black and red. Besides foods and drinks, the pub usually host some giveaways with high value gifts. There are many great hostels and guest houses that have good designs, friendly services and are good for travelers with a small budget. You can search for a room or dorm for less than $10/night. Refer to our blog of best places to stay in Ho Chi Minh city for a more detailed guide. Hong Kong Kaiteki hotel: the first ever hotel of Ho Chi Minh City follows capsule concept, which first invented in Japan and being hyped all over the Asia. The hotel offers 60 rooms at the size of 2.5m2 each at rate per night of 160,000vnd for standard and 290,000vnd for vip room. 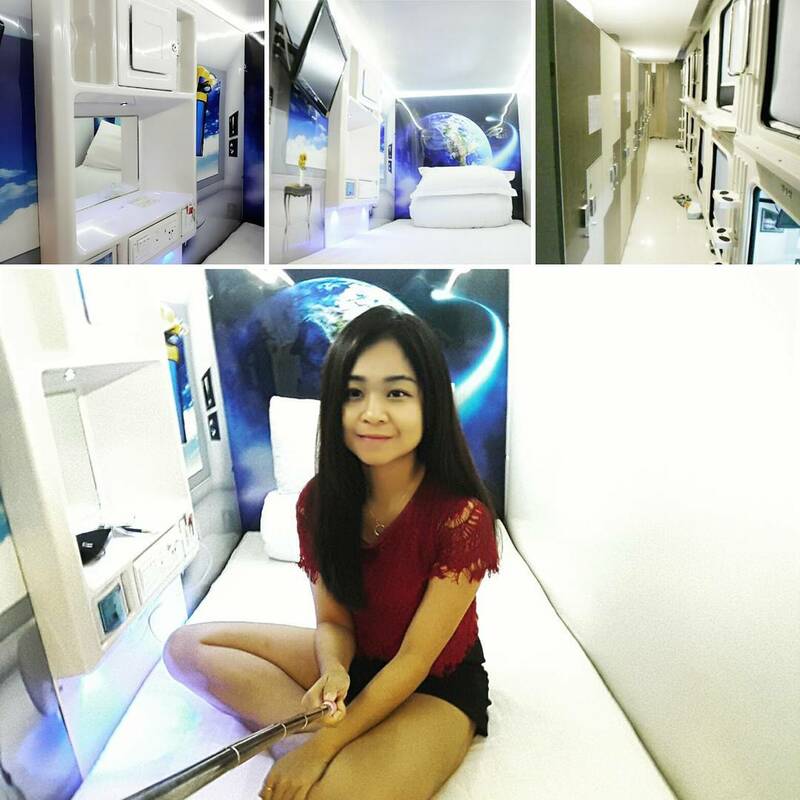 Inside “capsules” of Hong Kong Kaiteki hotel. Town House Saigon: an interesting hostel chain with 3 branches, each follow a different concept and loved by lots of foreign travelers thanks to cozy and feel-like-home ambience. Rate for a bed in dorm room is about 245,000vnd/night. A double room costs you 825,000vnd/night. Vintage Hostel Saigon: located right in the backpacker district, the hostel offer visitors an ideal venue to explore the city attractions within walking distance. The hostel also has a coffee downstair named Casa Coffee Shop. You can rent a bed from 180,000vnd/night. 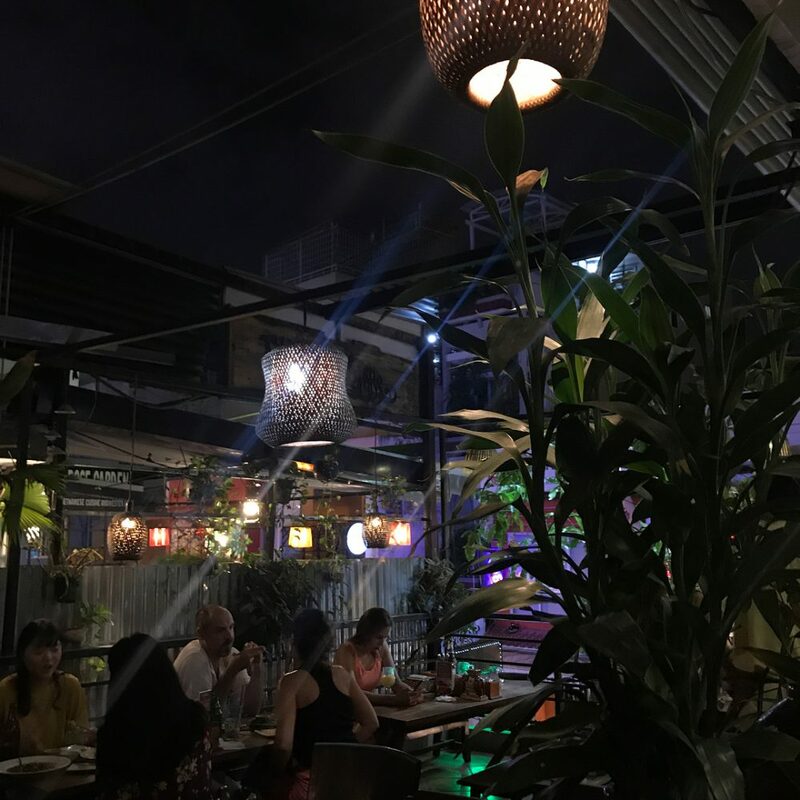 Tripwriter Hotel & Bistro: a little and adorable hotel in heart of the city with cement wall and greenery wall that reflect the vibe of Saigon in 1990s. The rate from 550,000/room. Such a perfect place for travel bloggers! As the street is always crowded, especially at nights, make sure to watch your personal belongings carefully. Even some very young children will pickpocket you. If you notice you’ll find out that most of the locals sit on one side and expats sit on the other side. If you dare to join the locals, you will make friends! 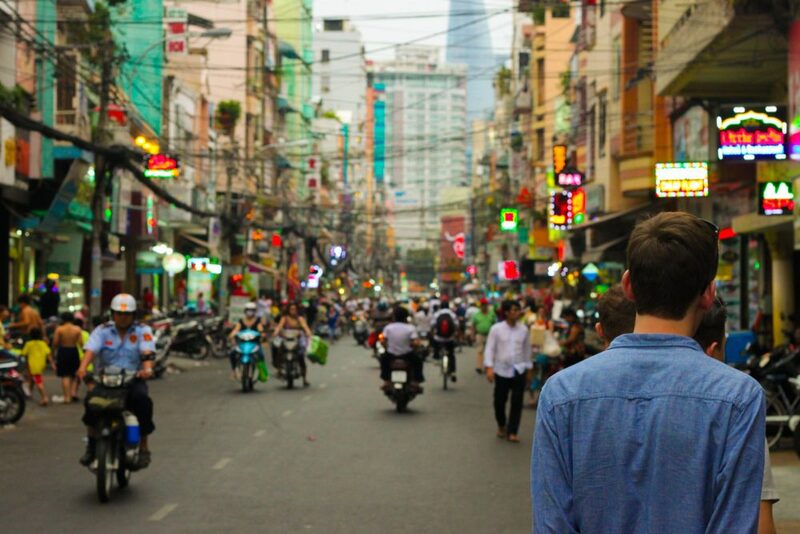 How to spend your best night at Bui Vien “Backpacker” street: Find a local tour guide on Inspitrip to show you amazing hidden gems of the street!